Just over a week ago, we returned from a week’s holiday in Northumberland, our fourth holiday there in the space of the last decade. 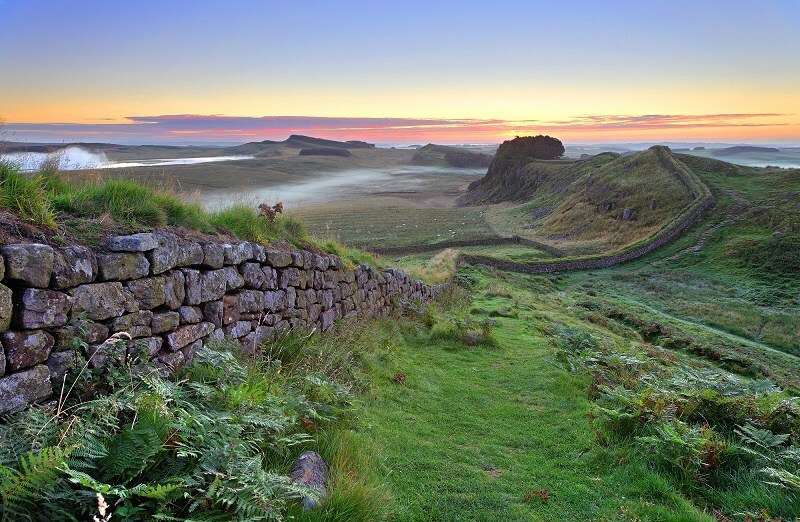 It’s a wonderful place to visit with the wide vistas of the Northumberland National Park and a glorious coastline. And, having been a major player in English history, there are castles, all well worth a visit. We felt we wanted a more relaxing holiday this time so we didn’t get around as much as we have done previously. So what follows is a summary of some of the wonderful places we’ve visited over the years. Top of my list of favourite places to visit has to be Bamburgh Castle. Standing as it does on a headland and overlooking the North Sea, it dominates the coastline and can be seen for miles in either direction. Like any castle, it’s a mixture of styles and eras which can be seen from the photograph here. And it’s still owned by the Armstrong family rather than one of the national historic institutions. We haven’t visited Warkworth Castle even though we’d intended to because we simply couldn’t find anywhere to park (I’m sure there must be a car park there somewhere but we must have missed it.) However, previously we did visit Alnwick Castle, the family seat of the Dukes of Northumberland. At the time we visited, it was at the height of the continuing success of the Harry Potter books and films and the castle had been used in many shots of Hogwarts School. Consequently, the castle grounds were heaving with children on their summer holidays so we chose not to look round the actual castle. We did visit the famous Alnwick Garden though with its famous Grand Cascade. Again, well worth a visit if you’re up that way, especially if you’re a keen gardener like me. One of the quieter places to visit, but well worth it, is Belsay Castle, Hall and Quarry Gardens. The castle itself is a ruin now but the Hall was built in the early 19th century, the stone for which was quarried on the estate. The owner, Sir Charles Monck, then turned the quarry into the picturesque Quarry Gardens, which I loved.The estate is now in the hands of English Heritage. For the second time, we stayed at Annstead Farm, a working farm with several holiday cottages as well as camping/caravanning facilities. It’s located between the fishing town of Seahouses and the village of Beadnell. They do allow dogs and just across the main road from the farm is the beach, just a short walk through the dunes, ideal for those essential walks. 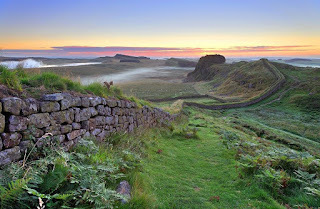 I hope that’s given you a yearning to visit the wonderful county that is Northumberland. You won't be disappointed. Thanks, Jane. It is indeed a lovely area and so unspoilt. The huge vistas are breathtaking. We went there about ten years ago. It is an unspoilt and beautiful county. Thank you, Nancy. Hope to catch up with you sometime at one of the Birmingham meetings.